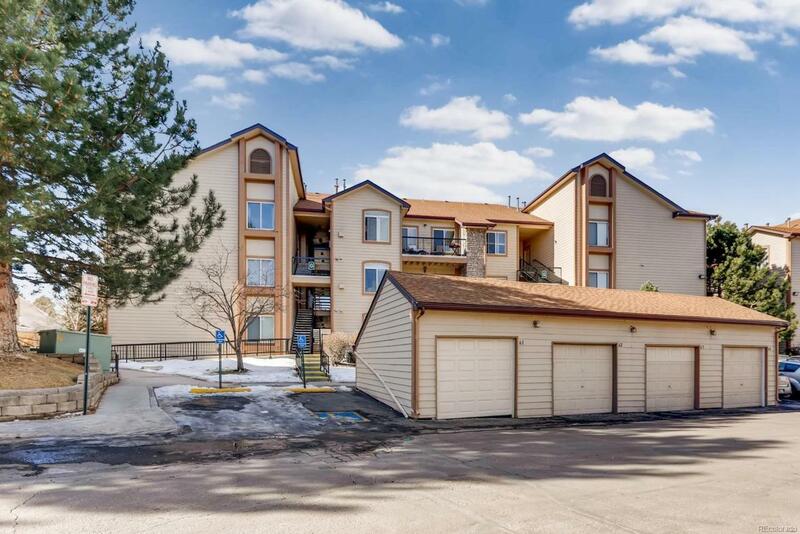 Fresh & fun condo with an affordable price & HOA fee! 2 bedroom, 2 full baths, storage space, sizable balcony, washer/dryer in-unit & included! Designer kitchen features 42" cherry cabinets, granite counters, Stainless Steel appliances, upgraded lighting package. Bathrooms renovated, as well. Unit is on 3rd level, so no upstairs neighbors + vaulted ceilings. Large living room, space for full dining-room table. Freshly painted & new carpet installed - you will have nothing to do but move right in! Pool community. Pets welcome, very dog-friendly. Private balcony with storage closet for bikes. Blocks to Parker&Iliff, incredibly convenient location. & walkable to James Bible Park.